EARLIER in 2014, families based at Chetwynd Barracks in Nottinghamshire took part in a creative project to produce a new graphic anthology, writes Project Co-ordinator, Katy Culbard. Funding from Arts Council England and Nottingham Castle Museum & Art Gallery gave Service families based at Chetwynd the opportunity to take part in a series of creative workshops. They were also able to write stories that reflected the experiences of Army families and the reality of Service life 100 years on from the centenary of the start of WWI. 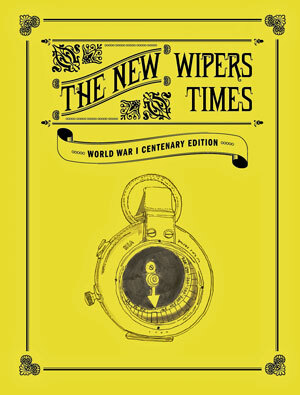 This amazing new graphic anthology, called The New Wipers Times (pictured above right), is part of the Trent to Trenches exhibition at Nottingham Castle and complements the local and historical content of the large display. Writer Helen Cross and artist Carol Adlam ran free community workshops at the barracks, taking inspiration from The Wipers Times – the renowned trench magazine consisting of poems, reflections, wry in-jokes and lampoons of the military situation. The welfare team also supported the project, promoting the opportunity to take part, seeing the wider benefits for families and the community at the barracks. After a period of workshops involving more than 40 adults and children, the story ideas were edited and developed and professional designers were commissioned to produce a beautifully stylish and accessible book to reflect the value of the voices behind the stories. 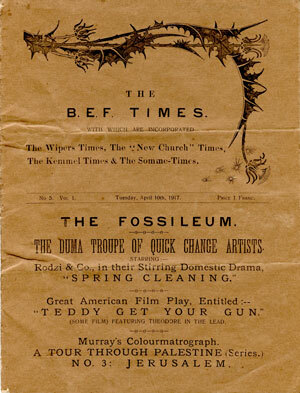 The New Wipers Times includes a selection of some of the factual and fictional stories created by participating families, along with an array of spoof adverts. The book presents a mixture of emotions, offering some really funny stories as well as some poignant and moving tales.